We are offering our customers a wide range of Hanger Bricks for Steel Rolling Mils. Made from premium grade material that is procured from reliable vendors. These are available in different dimensions and can be availed in various shapes as arches and wedges. 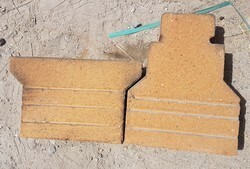 We are an affluent name in the market supplying Hanger Bricks in many size options. Product description: With our sustained efforts & dedicated management, we have been able to trade a qualitative Hanger Bricks. With our sustained efforts & dedicated management, we have been able to trade a qualitative Hanger Bricks. 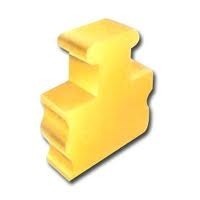 We are affianced in presenting to the industry a top class range of Shoulder Hanger Bricks. We are the leading firm ofSilliminit Bricks. To sustain the quality, our products are made under the guidance of industry certified professionals. In addition, we present this product at nominal prices.